This entry was posted in Anglès, C.Inicial, C.Mitjà, C.Superior, E.Infantil, Festes, General on 2 juliol 2011 by Escola Sant Salvador. This entry was posted in Anglès, Conferències, Festes, General on 2 juliol 2011 by Escola Sant Salvador. Rocking to the planets.Let’s go to our favourite planet. 4t. This entry was posted in Anglès, C.Mitjà, General on 24 maig 2011 by Escola Sant Salvador. This entry was posted in Anglès, E.Infantil, General on 24 maig 2011 by Escola Sant Salvador. 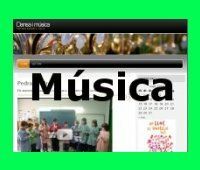 This entry was posted in Anglès, C.Inicial, C.Superior, General on 16 maig 2011 by Escola Sant Salvador. This entry was posted in Anglès, C.Mitjà, General on 29 març 2011 by Escola Sant Salvador. 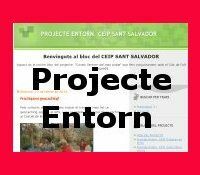 View more presentations from ceipsantsalvador. 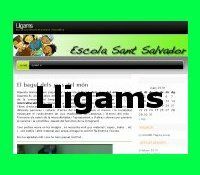 This entry was posted in Anglès, C.Superior, General on 16 febrer 2011 by Escola Sant Salvador. At The Pheasant’s restaurant . Role play. We enjoied very much doing this roleplay, it was funny. Down prepared tipical irish food for this roleplay and it was delicious!